Cleaning up after the dog is the least favorite part about owning a dog. Nobody likes to do it but it is a necessary evil that half of the population endures. The other half? They think dog waste is fertilizer or it biodegrades over time ignoring the truth that dog waste is harmful to people, pets, and the environment. It is well known that dog waste is harmful to people and pets. Parasites and bacteria present in dog waste can cause disease in both people and pets. Its effects on the environment is most surprising. 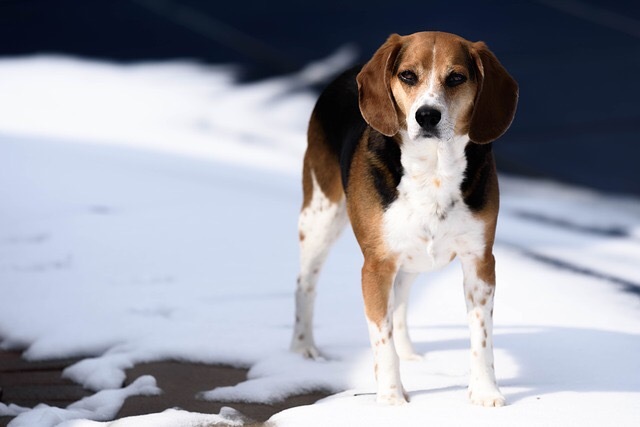 When rain or melting snow flushes dog waste into storm drains or the waste seeps into groundwater, nutrients such as nitrogen and phosphorus can accumulate in source water. In addition, water treatment plants may not protect against the pathogens transmitted in dog waste. This results in contaminated water often used in bathing, cooking, or drinking. Colder weather may stop (translation: kill) certain pathogens. But this shouldn’t be the only reason not to scoop in the winter. Not scooping in the winter could mean a significant pileup in the spring. The accumulation of dog waste throughout the winter could add excess nutrients to the soil resulting in lawn burn. To ensure the grass stays greener in your yard, regular clean up is recommended. As the weather gets colder, people will stay inside more. That means certain outdoor chores will cease. At PetCorps, we scoop in all weather. If its cold or snowy, you can count on us to be there to make owning a dog a more pleasant experience. With exception to severely cold temperatures or heavy snowfall, we provide weekly service visits that cleans up and hauls away dog waste. Get a free month of service from PetCorps when you buy three months at the regular price.